Golden Coast is the authorised UK distributor of inSPAration Liquid and Crystal blends and the sole UK distributor of Liquid Pearls and Pearl crystals. 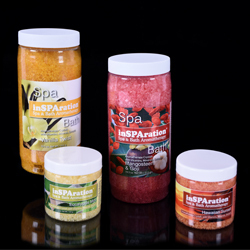 Since 1975 inSPAration has been the world’s leading supplier of aromatherapy products for pools, spas and hydrotherapy. All the aromatherapy blends are formulated to leave skin soft and moisturised. There are 36 blends ranging from from April Showers to Hawaiian Sunset. 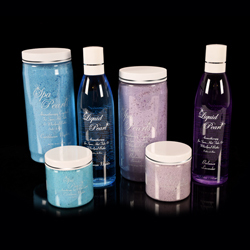 Pearls come in 245ml bottles, Spa and Bath Crystals in 265ml.